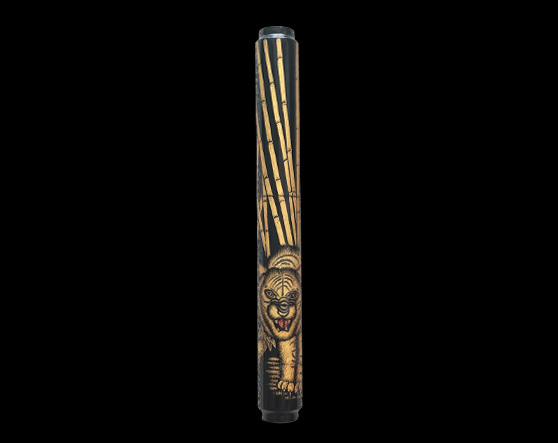 The Chinkin technique of Japanese Lacquer Art finds a stunning expression in The Mighty Tiger. The entire composition of a Tiger in a Bamboo forest has been carved by hand through lines and dots that are then inlaid with precious Gold powders. The skill of the artist is evident in every minute detail of this exquisite fine writing instrument. The beauty of this expression is a befitting reminder to nurture the flora and fauna of our beautiful planet.